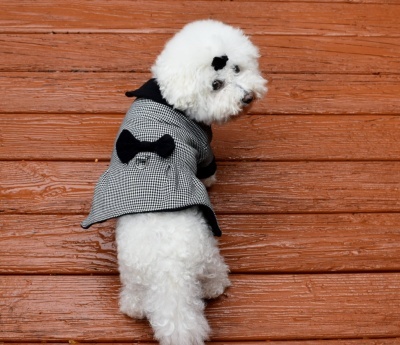 Dress your dog in style with this classy cool weather Dress Dog Coat for your little to medium dog! Constructed of poly-cotton blend outer, the dress coat is lined in plush fleece for warmth and accented in moleskin. I’ve used Velcro closures on the chest/belly area. It’s a real garment and it closes down the front and covers the entire chest down to the belly to keep your dog warm. Features include a round Peter Pan collar, waistband, sleeves and sleeve bands and a ruffled skirt. 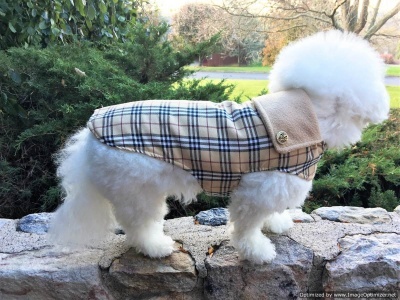 Your dog will be stylishly warm in this gorgeous designer couture dog coat! It’s so chic! 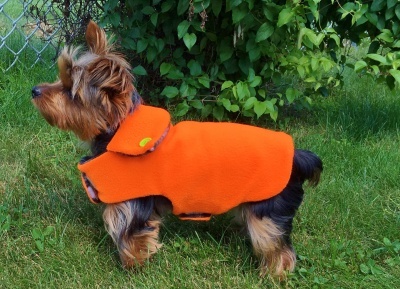 Dress your dog in style with this classy cool weather Dress Dog Coat for the little to medium dog! Constructed of textured woven boucle, the dress coat is lined in plush fleece for warmth and accented in moleskin. I’ve used Velcro closures on the chest/belly area. Features include a round Peter Pan collar, waistband, sleeves and sleeve bands and a ruffled skirt. 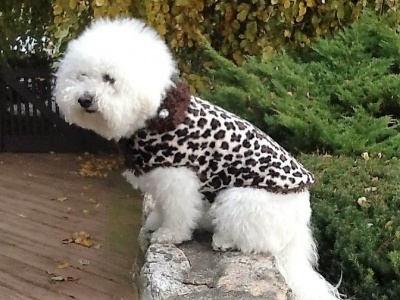 Your dog will be stylishly warm in this gorgeous Chanelesque couture dog coat! It’s so French! 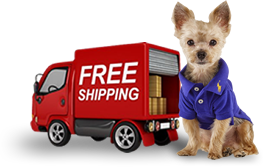 Dress your dog in style with this classy cool weather Dress Dog Coat for the little to medium dog! 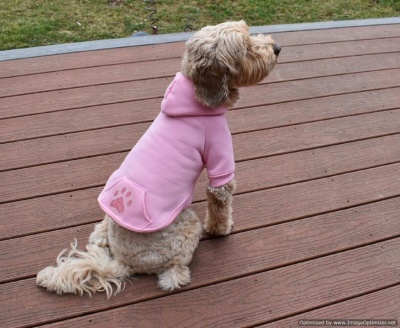 Constructed of lightweight cotton poly blends the dog coat is fully lined with fleece for warmth. I’ve used Velcro closures on the chest/belly area. Features include a round Peter Pan collar, waistband, sleeves and sleeve bands and a ruffled skirt. 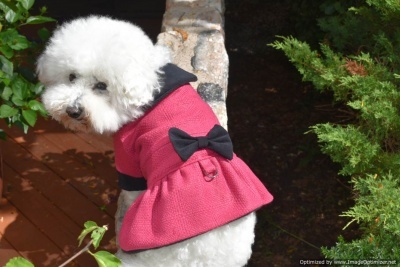 Your dog will be stylishly warm in this gorgeous Chanelesque couture dog coat! 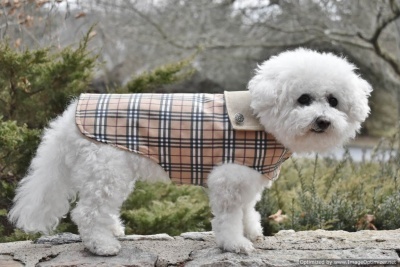 SASSY DOG FASHIONS Tan Unisex Furberry Tartan famous designer-inspired fleece lined WATERPROOF all-weather Dog RAINCOAT. 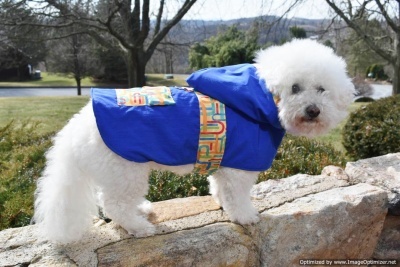 This famous designer-inspired puppy dog raincoat exudes total class and sophistication for you as well as for your pet. The traditional plaid outer colors are tan, charcoal, burgundy and white. Choose from a charcoal, tan or black fleece interior. SASSY PAW cheetah fur coat for dogs and cats. Lined in chocolate long faux fur. Be totally chic this season. The more adorn our dogs in luxury, the more we love them and the more happy they are! 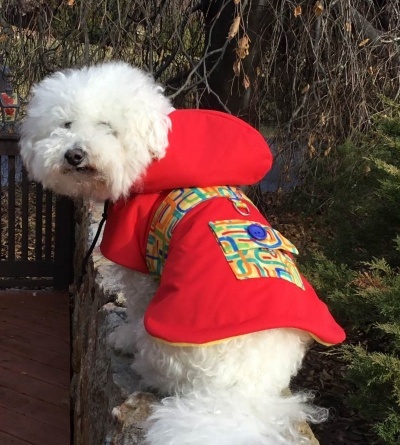 This warm jacket can be personalized with your pet’s name! 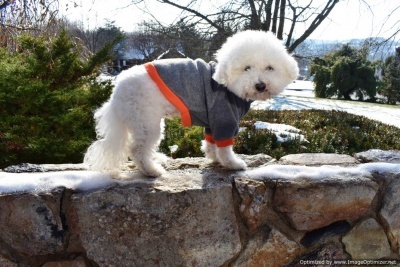 Customized Long Sleeve Fleece Dog Pullover can keep your dog or cat warm in the frigid temps of winter or anytime there is cooler weather. He can wear it indoors or outdoors. Made of premium quality anti-pill fleece, it’s a good choice because it will last a long time and will not pill. This pullover is available in an array of brights and neutral colors for the bodice and trim. You may add your pet’s name free or even a small catchy phrase to the back. Made to order. Choose your size then call us or message us to choose your color and decoration. Please send your custom requests! Please include your dog’s measurements. To be considered luxury, it must be comfortable and our Nature Dog Outerwear is so soft and warm. Stay dry in style with this hand-made fully waterproof coat. It’s all in the details as embellishments really do make a garment. The hood has a head band made of links and a draw string to keep the head dry. A functional belt accents the waist line along with a functional pocket to carry your key and credit card. D-ring for leash attachment. Velcro closures make it easy to get on and off. Winter coat in pink fur, lined in baby pink velvet. 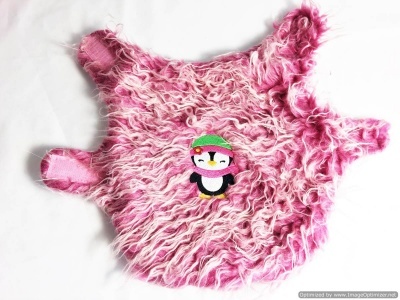 A wintry female penguin decorates the back of the coat. Be seen with this textured, feminine PINK fur, trendy fashion coat. Protect your small dog or cat from the cold and windy weather this season, while dressing her in the latest canine fashion. Very chic! Very feminine penguin coat!